A Product Bundle is a grouping of products, sometimes referred to as a Product Kit, which has one or more sub-items. A Bundle/Kit is a virtual group of products and the bundle in itself will not have any inventory; instead, when the Bundle SKU is purchased, it will commit inventory for the bundled SKUs. Go to Products > Product Catalog Manager > Add New Product. For Product Type select option Bundle/Kit. 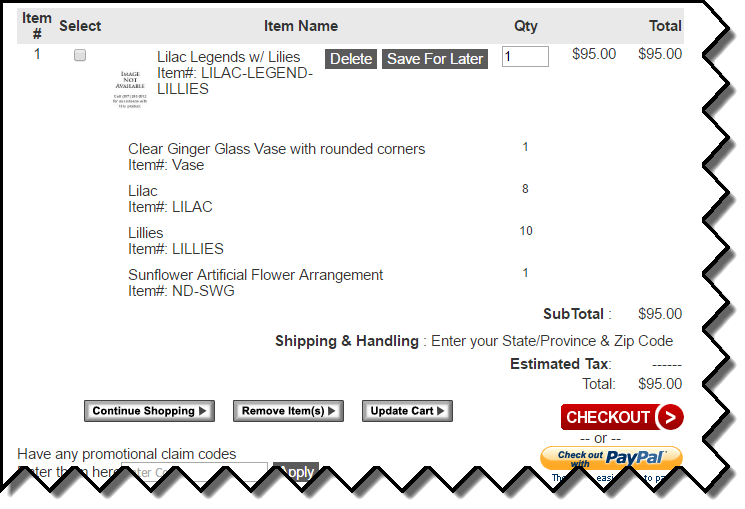 Enter required information such as Product Name, SKU, and Category. Note: Weight is a required field; when calculating the shipping and handling, the system will use this weight instead of the weight of bundle products for webstore orders. In the Bundled Products section, click Add New Product. Select the products you wish to add to the bundle. The back order option setting for the Bundle trumps the back order options for the products inside the bundle. Sales tax is calculated for Bundles by dividing the Bundle SKU's price across all sub-items. Understanding how bundles manage price is important. Bundles charge the customer a single price for all items in the bundle, regardless of how many items are in the bundle, or their summed prices. However, since the bundle itself is not an actual SKU, when the customer purchases a bundle, the bundle's price is then spread across the actual SKUs in the order, weighted by the quantity of each bundled SKU. Since money only uses two decimal places, if there are any rounding issues, the additional pennies are either added to the Handling fee (if under), or the Order level discount (if over). Navigate to Site Settings > General Settings > Display Settings. Set Setting “Display Bundle components to Customer” to Yes, the system will display the Bundle components to the customer. If setting “Display Bundle components to Customer” is set to No, components will not be displayed to customers. When customers add a bundle SKU to their cart, from their point of view it’s just like a normal SKU. However, administrators can see the differences between orders containing inventory and bundle SKUs when viewing orders. Orders will show the bundled SKUs and note they are part of a bundle. Since Bundle SKUs are not actually a line item, the system will split the Bundle SKU Price as a percentage and spread the bundle price across all its sub-items. Bundle products do not have an Inventory tab since they do not have any inventory of their own. In the product editor, bundles do not have Data feeds, Sellers, Vendors, and History tabs. Sales tax is not calculated for Bundles but will be calculated for its sub-components after dividing the price across all sub-items. Storefront orders calculate shipping costs for bundles, but MOTO orders calculate shipping costs at the bundled items' level.